For many, becoming a certified nursing assistant represents the shortest route to a career in nursing. It is a good place to start as it provides an opportunity to perform basic nursing skills and interact with patients to determine if the profession is a right fit. Formal training is a necessary part of the preparation to become a CNA. However, unlike nursing, which requires an associate’s or bachelor’s degree that could take several years, you can train and become certified in a matter of weeks. 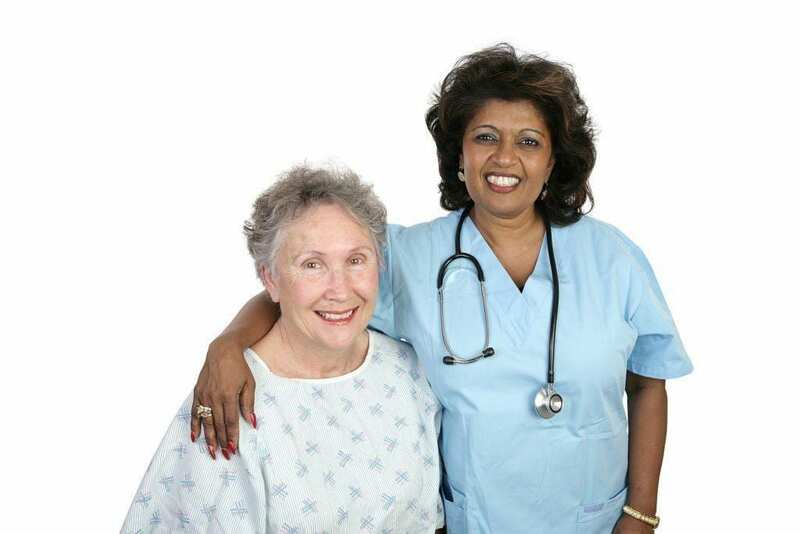 A certified nurse assistant can work in a hospital, long-term care facility, nursing home or other health care facility. The primary responsibilities include but are not limited to measuring and recording vital signs, collecting patient information, bathing and dressing patients, answering patient calls, providing and emptying bedpans, turning and repositioning patients, cleaning and sanitizing patient areas, and setting up medical equipment. CNAs spend most of their time assisting patients with the activities of daily living, so they are able to spot and communicate any issues to a doctor or nurse. CNA training covers basic nursing principles and a supervised clinical experience, giving students the opportunity to provide direct patient care in preparation for employment. A rise in the aging population creates more demand for CNAs, which is expected to increase rapidly over the next decade. Demand is greatest in long-term care facilities and nursing homes. Due to the round-the-clock care provided at these facilities, nurse assistants are expected to work nights, weekends, and holidays. According to the Bureau of Labor Statistics, a CNA’s annual salary is $25,710. The nursing assistant course at Johnson County Community College is 96 hours. It includes classroom instruction and a supervised clinical experience to prepare students for entry-level employment in long-term and acute care facilities. Practical experiences emphasize the development of those skills required to assist residents with daily hygiene, positioning and safe transfer, bedside care, and measuring and recording vital signs. The classroom instruction will cover the role and responsibilities of the nursing assistant, communication and interpersonal relationships, infection control, feeding and nutrition, common health disorders and chronic illnesses. Students will complete the clinical experience at a local nursing home under the direction of a licensed nurse. Interested persons must take and pass a reading assessment. Once accepted to the program, students must present a copy of their social security card, a current negative TB test, and CPR for Health Care Providers card on the first day of class. Students who fail to meet the program’s criteria, including the attendance requirements, will have to withdraw from the class. Graduates will be scheduled to take the Kansas Certification Exam for Nurse Assistants. Kansas College of Nursing’s nursing assistant program is approved by the Kansas State Department of Health and Environment. Students are prepared for success on the Kansas State Certified Nurse Aide examination and to provide simple nursing care to patients in a nursing home or hospital setting. The curriculum provides 96 clock hours of classroom lectures, learning lab, and clinical experience in an approved nursing facility. KCN offers day, evening and weekend classes. Day classes meet Monday through Wednesday from 8:00 am to 2:30 pm. Evening classes meet Monday through Wednesday from 4:00 pm to 9:00 pm. Weekend classes are Saturday and Sunday from 7:00 am to 4:00 pm. Applicants must provide a copy of their driver’s license or valid photo ID and a copy of a negative TB skin test or chest x-ray. Students must wear navy scrub for the clinical –dates will be provided ahead of time. The application fee of $60 and the state exam fee will be collected with the tuition. Tuition and fees cost $780. The nurse assistant certificate program at Midwestern College follows the guidelines of the Kansas Department of Aging and Disability Services, allowing graduates to sit the Kansas State Certified Nurse Aide examination. The curriculum covers 90 clock hours of lectures, discussion, skills practice, and clinical experience at the local nursing home. Prior to enrolling in the program, applicants must provide a copy of their driver’s license or valid photo ID, social security card, and negative TB skin test or chest x-ray. Students must wear school-designated scrubs in the classroom and for the clinical experience. Tardiness and absenteeism will result in dismissal from the program. Graduates are eligible to take the computerized state exam. The cost of the exam will be collected with the tuition. The CNA training program at Mid-America Nursing & Allied-Health Institute prepares students for employment as a Certified Nursing Assistant. Graduates will receive a Certificate of Completion and will be eligible to take the state certification exam for nursing assistants. The curriculum includes 90 clock hours of lectures, discussions, skills lab and clinical experience at a long-term care facility. Students learn safety in the delivery of care, diet and nutrition, infection control, mobility assistance, nurse assistant care, human anatomy, body mechanics, vital signs, communication skills, the activities of daily living, and CPR. Any person 18 years or older may apply to the program. A criminal background check, vaccinations record, physical exam and fitness assessment, and First Aid and CPR are other requirements for admission. Applicants must also have some knowledge of medical terminology. Students can complete the requirements in 4 to 6 weeks. The day class schedule allows for completion in 4 weeks. The evening class runs for 5 weeks and the weekend class is 6 weeks. The tuition costs $700 and includes a free e-Text. Students must budget additional funds for a gait belt, dark green scrubs, blood pressure kit and stethoscope.